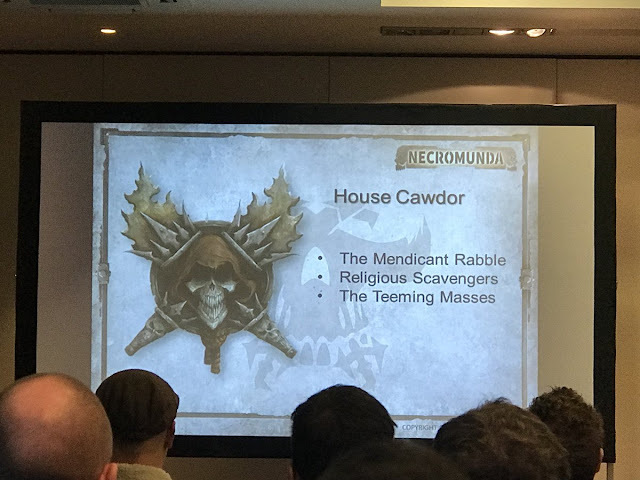 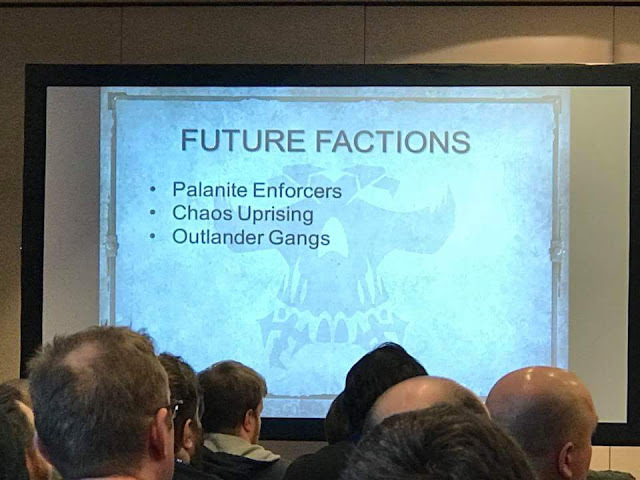 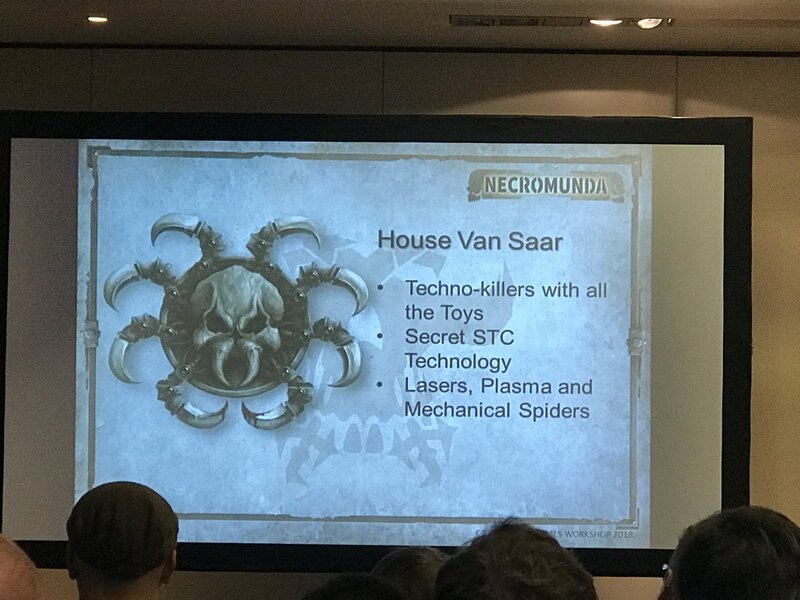 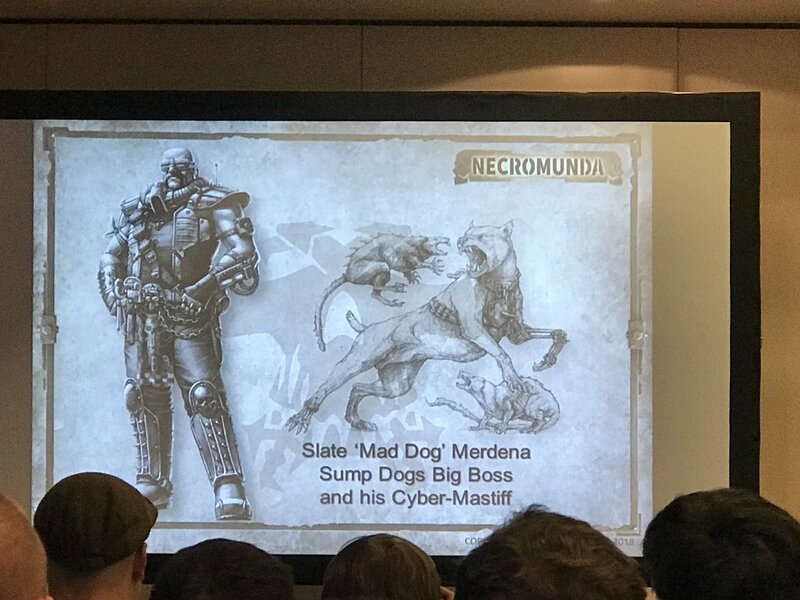 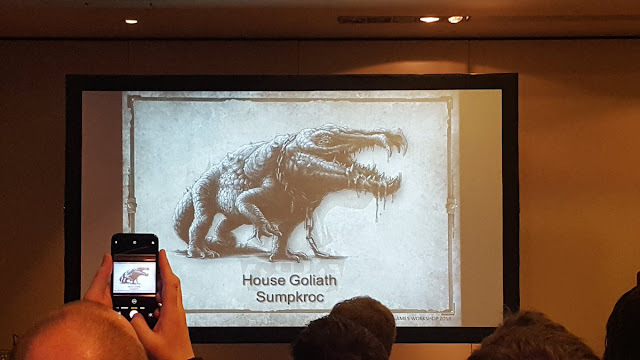 Games Workshop announced during the Necromunda Weekender that they're looking to further expand the popular post-apocalyptic Necromunda game with several new gangs, settings, characters and even some ferocious creatures! 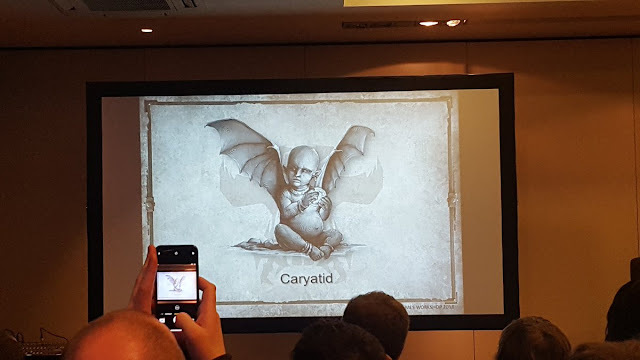 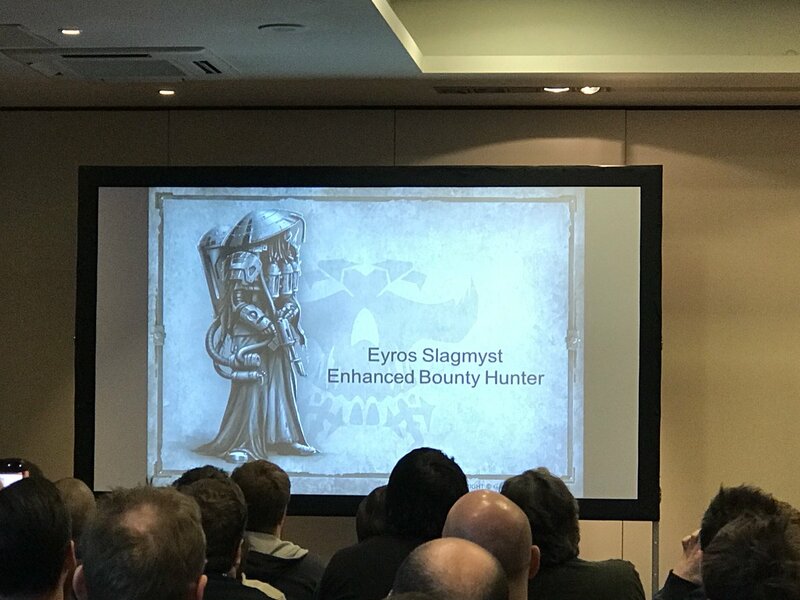 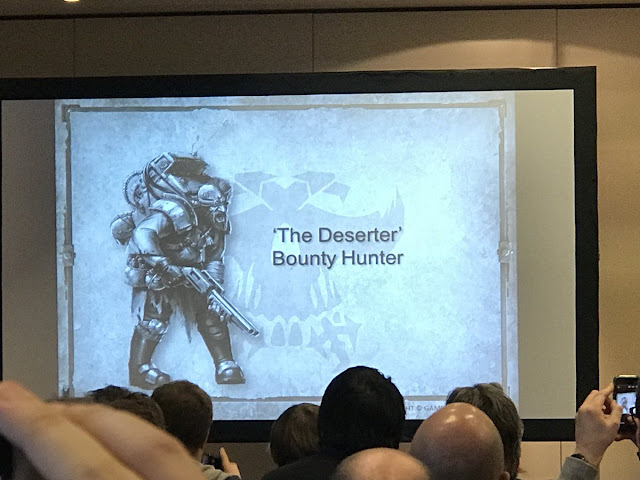 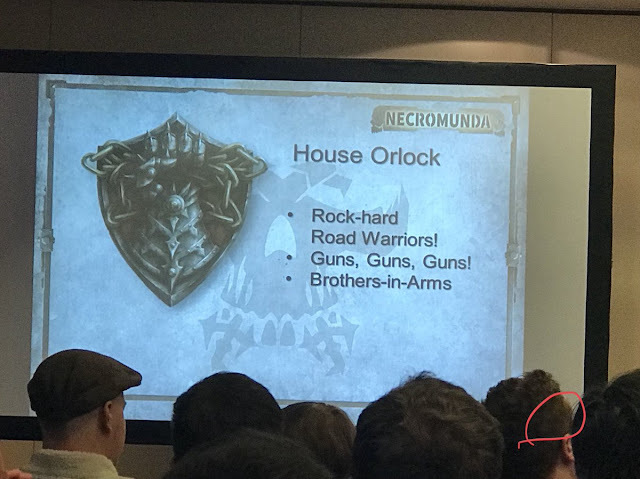 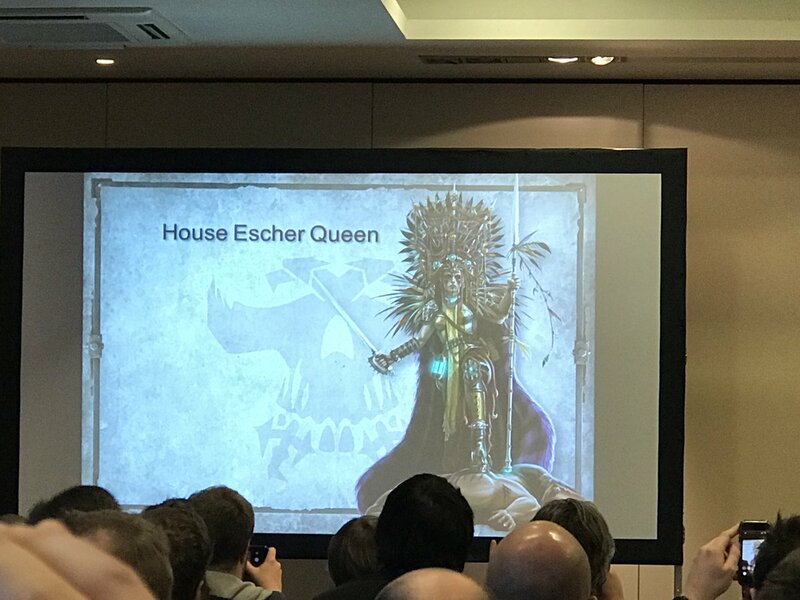 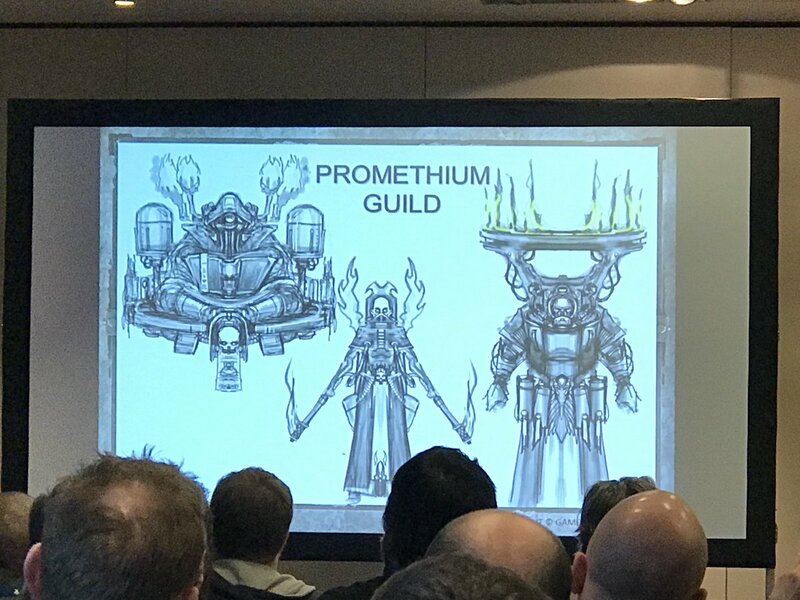 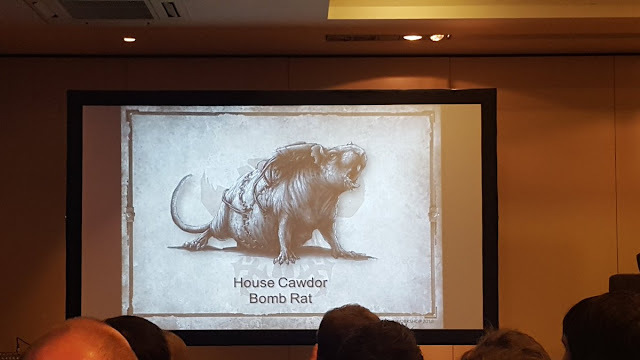 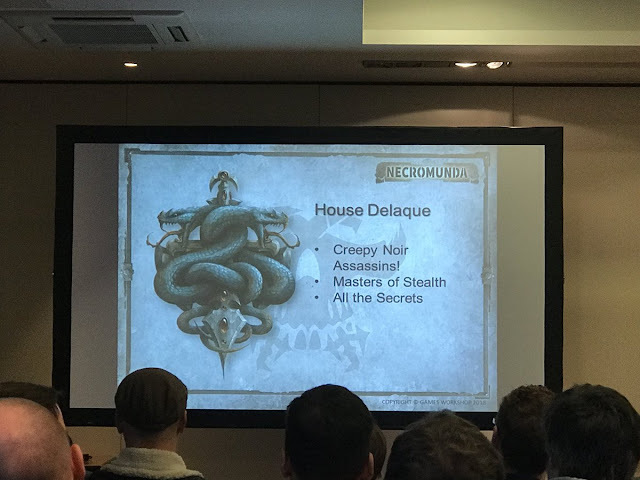 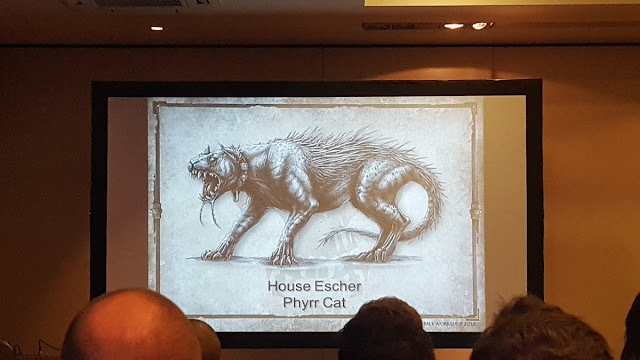 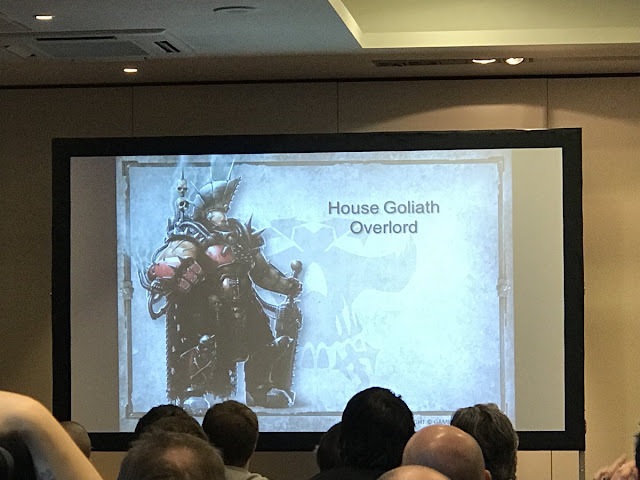 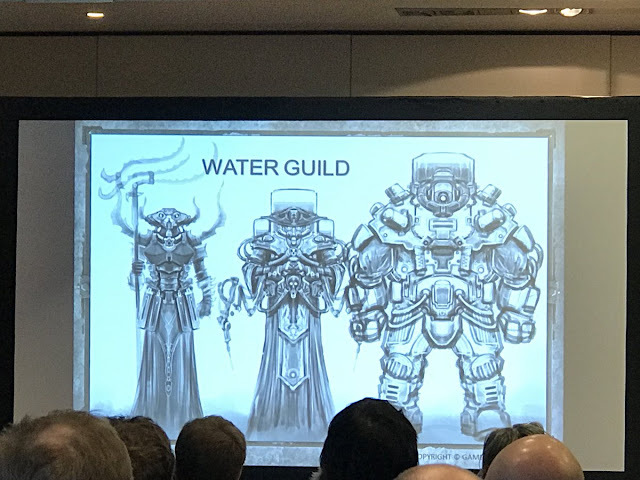 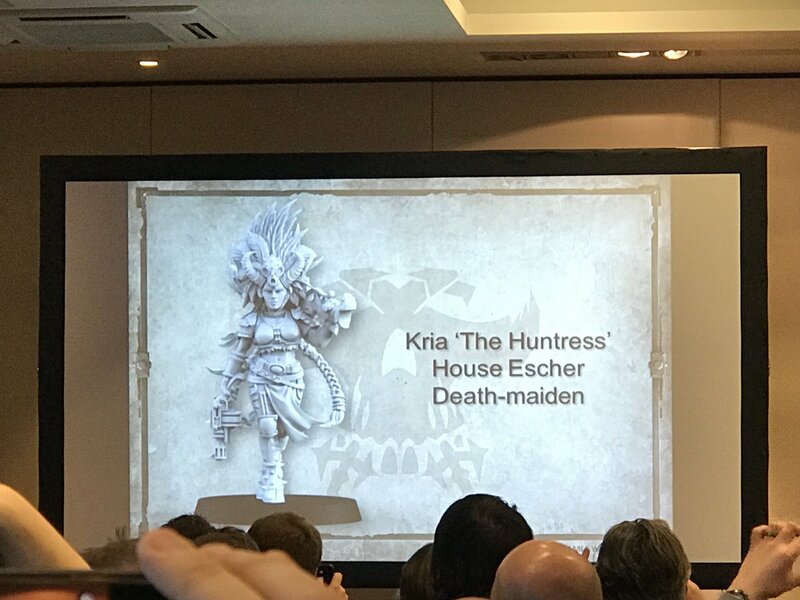 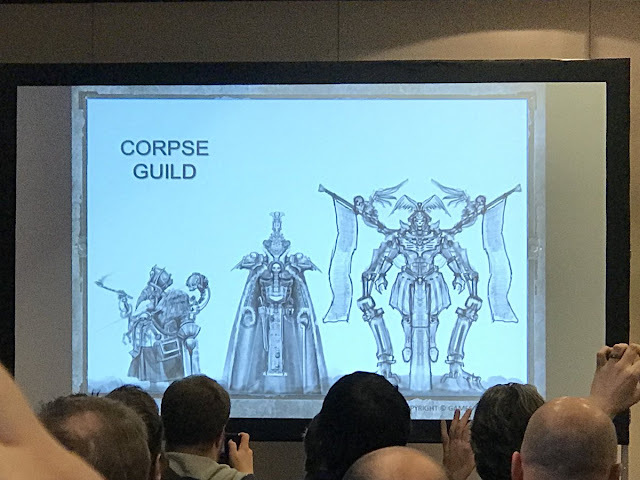 The following pictures were taken during the presentation at the Necromunda Weekender today by Twitter users @ArtSteventon @runebrush @Ex_Profundis. 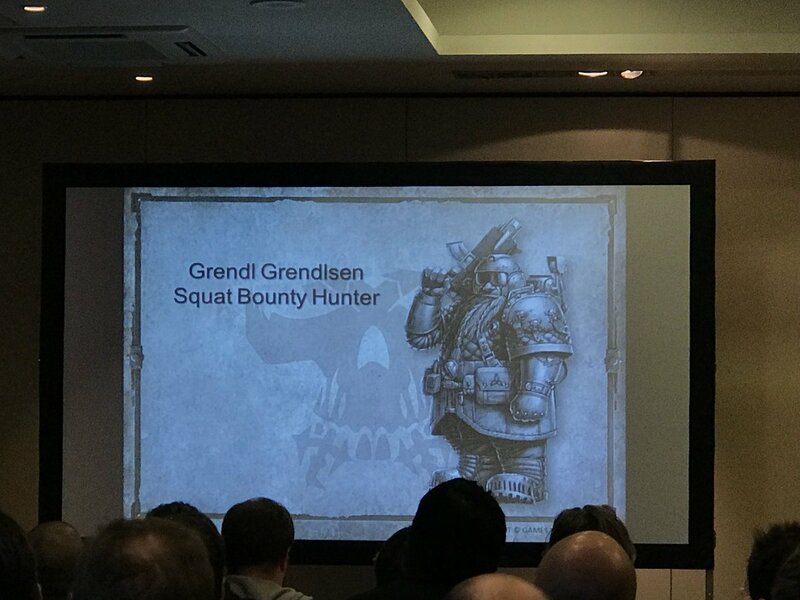 As you will be able to see in the pictures plenty of new background and inspiration for your Necromunda games including new gangs, bounty hunters and creatures are being prepared for release. 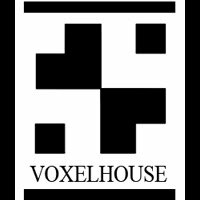 The next release during February will be the plastic Orlock Gang bringing the total number of available factions to three. 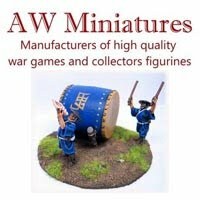 More overpriced, rehashed rubbish from GW. 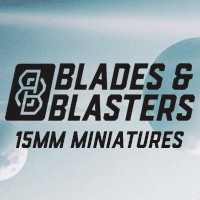 There are better, cheaper things out there. I'll be getting them all. 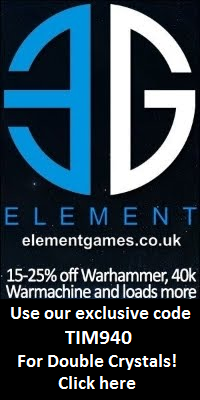 I've been waiting decades for Necromunda to be re-released and supported by GW, and I'm not squandering it now it's here.